TOGETHER WE CAN END MS! 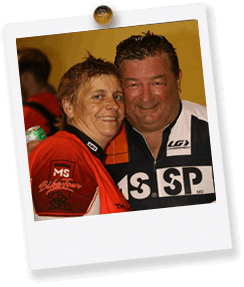 It has come the time of year again where I will be off on the MS Bike tour to help raise money to fight MS! 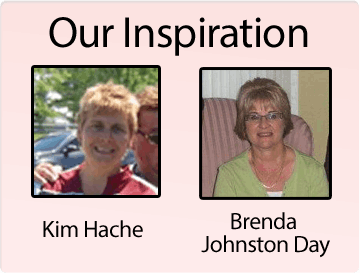 When I was just 10 years old my mother Kim Hache was complaining about problems with her vision, one eye just did not see as well as the other. When she went to the doctor it was discovered that she had Relapsing and Remitting Multiple Sclerosis ( MS ). This is a form of Multiple Sclerosis that will attack randomly without notice leaving my mother on a terrible roller coaster ride from one day to the next. My mother would lose all feeling in her hands, she describes it as pins-and-needles that just don't go away for weeks or even months at a time. I remember when my mother would go to pull a pan from the oven and not even realize that she was burning her hands as she could not feel a thing. The problem continued to get worse, her short term memory became very short, eventually leading to having to quit her job as a manager at Canada Trust. Now 24 years later the MS Society of Canada has made great strides with the research they have done, there is now treatment which helps prevent my Mothers MS from relapsing. We thank everyone who has helped in raising the funds for this research. Although research is progressing we are still a ways off from finding a cure for this disease. Effects of MS are physical, emotional, financial, and last a lifetime, and every day, three more people in Canada are diagnosed with MS! We are in desperate need to find a cure for this disease! We need your help! 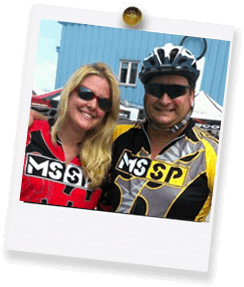 On July 28th and 29th my wife Tricia, and I and our team will ride for a cure in the 2018 MS Bike Tour. 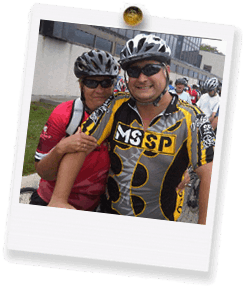 This bike ride from Grand Bend to London and back is a total of 150 KM and WE WILL MAKE IT! All we ask is for your support, ever little bit helps in the fight to find a cure for this paralyzing disease. Together we can MAKE IT HAPPEN!